This anniversary edition includes 70 maps and pieces of geographic art from the Barbara Petchenik Children's World Map Competition, sponsored by the International Cartographic Association (ICA). Redlands, California—Young people use their artwork to bring geography and their perspectives on the world to life in the new book Children Map the World: Selections from the Barbara Petchenik Children's World Map Competition, Anniversary Edition. 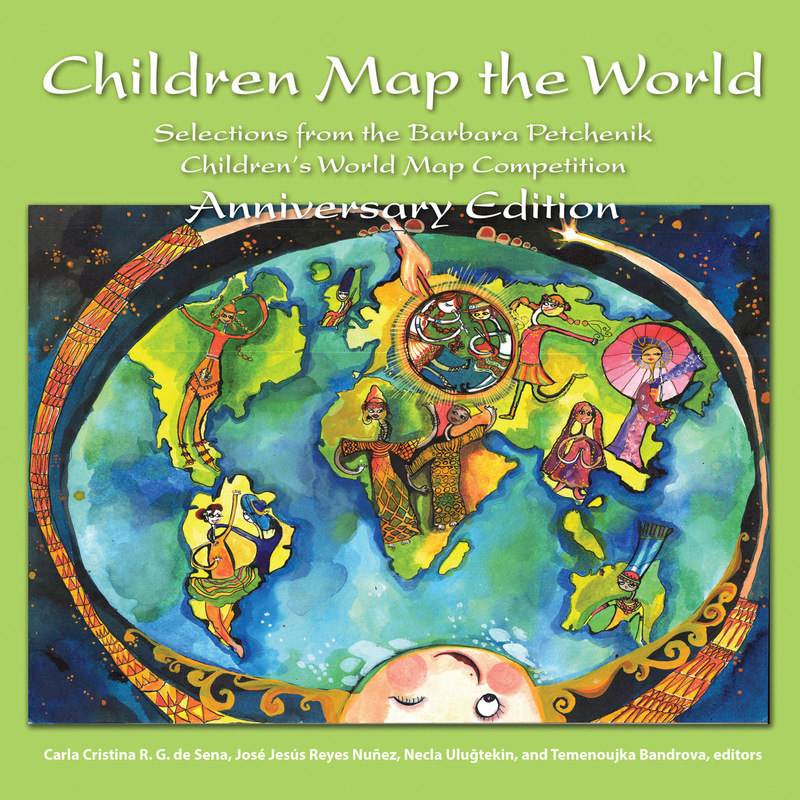 This anniversary edition, published by Esri Press, includes 70 maps and pieces of geographic art from the Barbara Petchenik Children's World Map Competition, sponsored by the International Cartographic Association (ICA). The competition is held every other year in honor of Petchenik, the late American cartographer and ICA vice president who was interested in maps designed for children's education. The 2013 map competition marked the twentieth anniversary of the event, and the book includes artwork selected from that year's entries and from other competitions held over the last two decades. The ICA supports the map competition as a way to introduce maps to children, encourage them to make maps, and better understand the world around them. The young people's artwork featured in the book's pages reflects those goals. My Place in Today's World was the 2013 competition's theme, and the artwork from that year highlights friendship, the environment, harmony among all people, music and dance from different cultures, and new mapping technologies. A 10-year-old Chinese boy populated a map of the world with drawings of animals such as tigers, whales, penguins, and giraffes and calls it Wonderful World. An eight-year-old girl from Belgium drew a map of the world on a green turtle's shell and titles it The World Carries Us All Together. A four-year-old Indonesian boy drew Angry Earth, a globe with an unhappy face and polluted smoke spewing out of buildings' smokestacks. A 15-year-old boy from Croatia drew animals in the shape of continents in a piece he calls Save the Earth's Beauty. "The ICA well understands that the competition contributes to the continuity of our profession, representing a basic but much-needed transition between current and future generations of cartographers," the editors wrote in the foreword. "It is a powerful way to popularize maps among children, young people, and the public in general." The book was edited by cartographers Carla Cristina R. G. de Sena of Brazil, José Jesús Reyes Nuñez of Hungary, Necla Uluğtekin of Turkey, and Temenoujka Bandrova of Bulgaria. 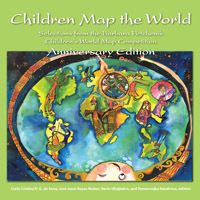 Children Map the World is available in print (ISBN: 9781589484221, 108 pages, US$29.99). The book is available at online retailers worldwide, at esri.com/esripress, or by calling 1-800-447-9778. Outside the United States, visit esri.com/esripressorders for complete ordering options, or visit esri.com/distributors to contact your local Esri distributor. Interested retailers can contact Esri Press book distributor Ingram Publisher Services. Esri Press publishes books on GIS, cartography, and related topics. The complete selection of GIS titles from Esri Press can be found on the web at esri.com/esripress.